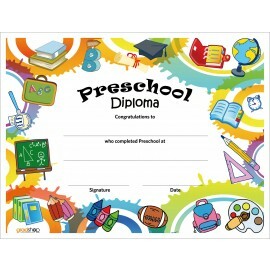 Ordering special preschool graduation diplomas is a breeze with Gradshop's easy ordering system. 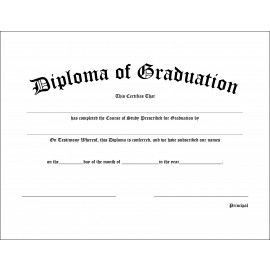 Add that extra spark in your little graduate's eyes on their graduation day with any of our outstanding preschool custom diploma certificates. Fill up the details and send us the order form right now to ensure you get your child's nursery or preschool graduation certificates at the cheapest prices. For more information, get in touch with our warm and helpful staff.